After a teasing campaign announcing that on 9 March 2015 H. Moser & Cie was going to unveil its own smart watch, today the watch manufacturer based in Neuhausen am Rheinfall finally presented a new version of its Endeavour Perpetual Calendar, for sure one of the smartest mechanical implementation of a perpetual calendar. This way, H. Moser & Cie. reasserted its position in the ongoing debate 'mechanical watches vs smartwarches'. As CEO Edouard Meylan explains, H. Moser & Cie. has produced smart watches for over 100 years by combining a clean interface, state-of-the-art ergonomics, ingenious functions and long power autonomy. They will continue to develop mechanical watches that are both smart and precious, like the new Endeavour Perpetual Calendar Funky Blue, with its clean and easy-to-read interface. The patented flash calendar, for example, allows the date adjustment forwards and backwards at any time of day and cleverly uses the hour indexes to show the months. 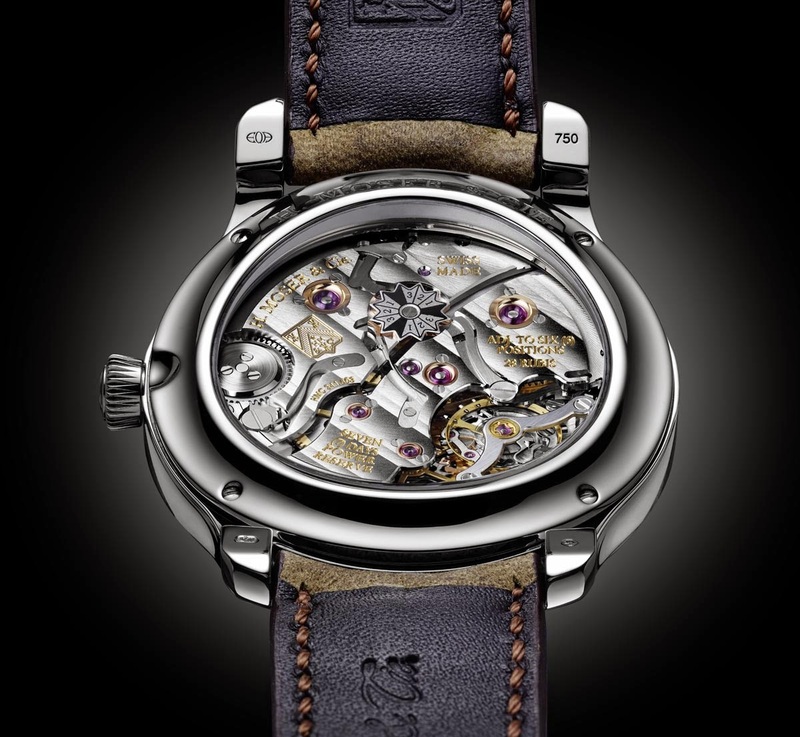 In addition, the two barrels ensures great autonomy with a minimum power reserve of 7 days. 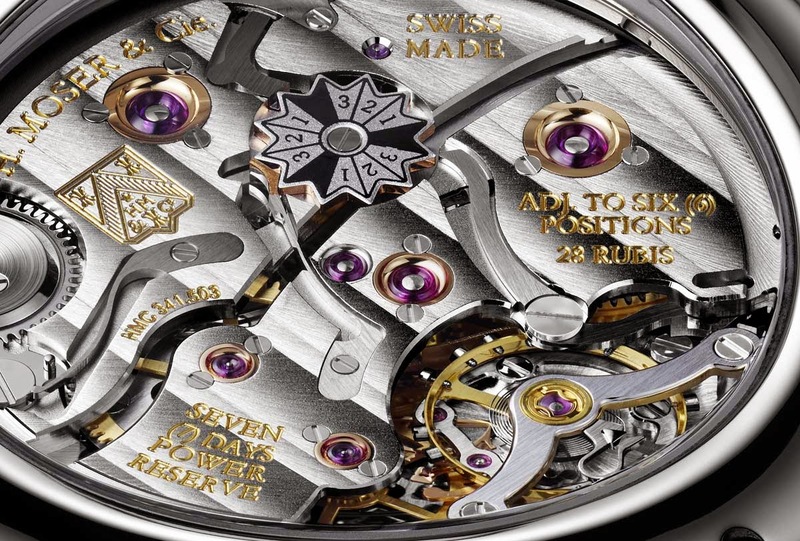 And the sophisticated Moser interchangeable escapement guarantees the highest precision. In terms of design, the Endeavour Perpetual Calendar Funky Blue reinterprets a haute horlogerie model with an electric blue dial and a hand-stitched beige kudu leather strap which successfully contributes to the bold look of the watch. The classic three-part 40.8 mm case is made of white gold and houses the slow beating (18,000 vph) hand-wound in-house calibre HMC 341. Hand-finished and decorated, the movement features gold escapement wheel and pallet fork as well as the original Straumann hairspring with stabilised Breguet overcoil. 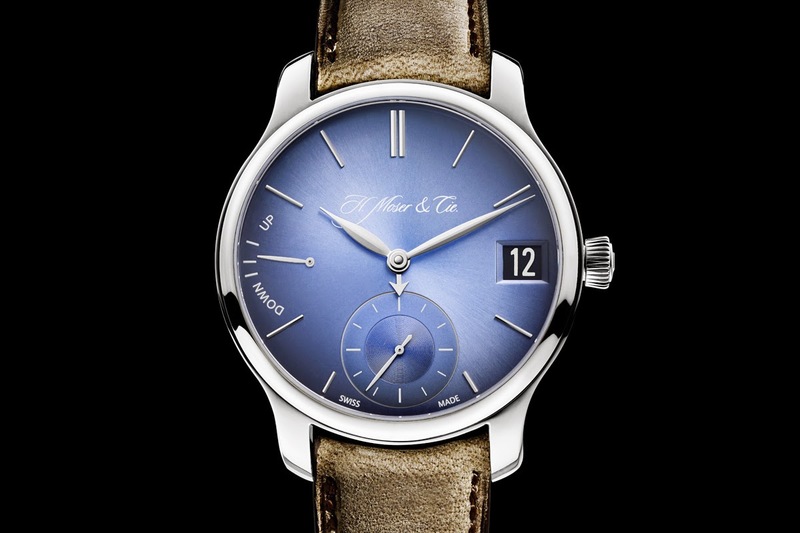 H. Moser & Cie. Endeavour Perpetual Calendar Funky Blue. 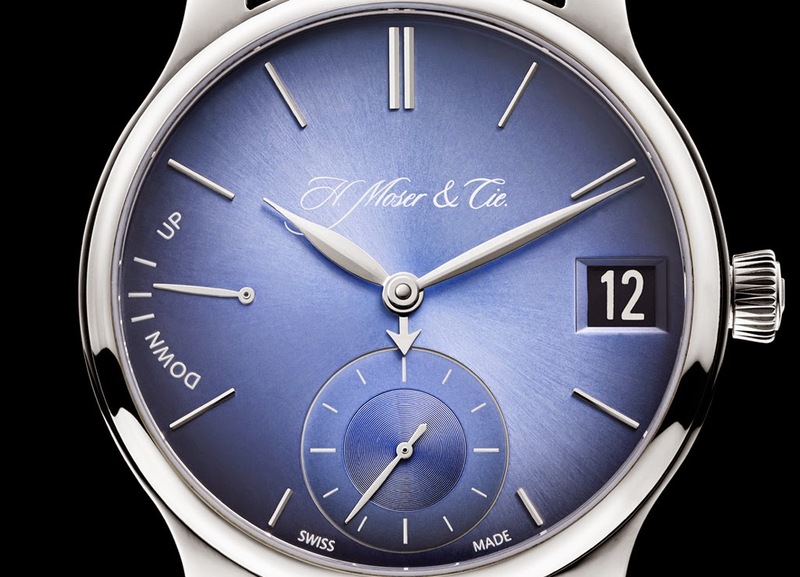 H. Moser & Cie. reasserted its position in the ongoing debate 'mechanical watches vs smartwarches'. They will continue to develop mechanical watches that are both smart and precious, like the new Endeavour Perpetual Calendar Funky Blue, with its clean and easy-to-read interface. 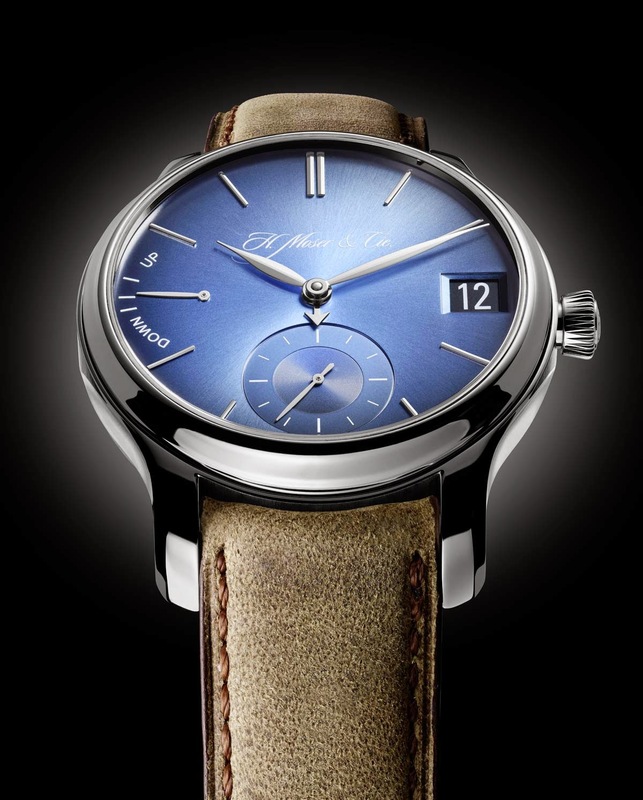 The H. Moser & Cie. Endeavour Perpetual Calendar Funky Blue (ref. 1341-0207) will have an indicative retail price of US$ 60,000.